Home › Science › technology › Zing. – It doesn’t have a name yet. – I am not planning to “pimp” it (shudder), but recommendations for Aussie decal dealers who don’t specialise in “Bad Boy” and “Raunchy Girl” stickers are welcomed. Anway, congrats on the scooter! I have no suggestions for you, but I will say I’ve been staring at it admiringly. Great choice – great colour! As for stickers you MUST have a custom Hoyden decal made – perhaps we can collaboratively design one here? I was talking to Don more about the gloves, and he mentioned part of why he wears them is also to protect his hands in doors because not all hallways are wheelchair friendly. I think Lucy is an awesome name. I’d put some flame decals or ones for your favorite cause. I like the name Lucy also. Nice ride. As everyone else has said, it’s the colour. Though I can’t suggest a name, I love linking to this in any thread about driving, riding, or automobility; it’s T.E. Lawrence describing the wonderful joy of motion on the road on the motorcycle he named Boanerges (the reference/joke is Mark 3:17). A skittish motor-bike with a touch of blood in it is better than all the riding animals on earth, because of its logical extension of our faculties, and the hint, the provocation, to excess conferred by its honeyed untiring smoothness. I hope you get as much pleasure out of your new steed. Have you raced anyone from a pedestrian light? Has the lad had a turn yet? All the red dragons are Welsh, my Taffy husband reliably (cough) informs me. So we could have Hywll, or Myfanwy, or Gruffudd? Mebbe Ianto? The Welsh word “gwynedd” (gwin-eth) means “happiness” (as well as being the name of an ancient kingdom). Could be a good ‘un. Or “Rhiannon”, which means “great queen” and which is still the best song Stevie Nicks ever sang. Myfanwy? That’s my sister’s name!! [grins]. It means ‘My rare one”, if that helps any!! (Oh, and pronunciation isn’t as hard as it looks: in the (okay, slightly Anglicised) Welsh, it’s mi-VAN-ooeee (almost mi-van-wee). In English, my lil sis goes for ‘MIF-an-ee’, or ‘Miff’, with a very firm stare at everyone to make sure they know it’s not ‘Miss’. & of course, Frida’s set of merch. Woohoo! I was going to put a comment on the other pink-and-blue thread about the gorgeousness of these cherry red ones – naturally your discerning taste gravitated to it. It is the colour of choice over here in Melbourne. 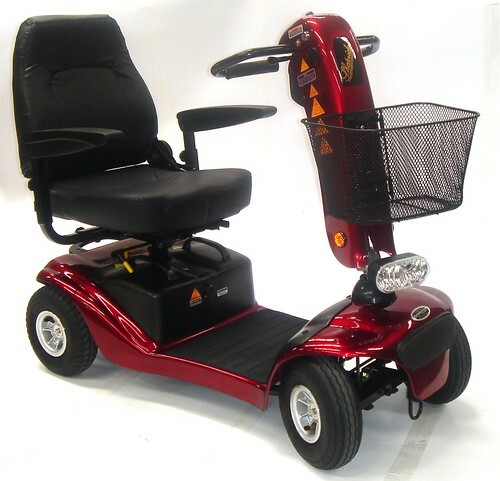 A friend of mine has a large adult tricycle with electric motor assist, in the same colour. I recommend one of those 1970s? style decals, do you remember them, with the oversize wheels, flames and a skull with a tongue hanging out. How about Miss Scarlet? She was always the coolest one on the Clue Board. I think you should name it Rosie. Thankyou for all the name suggestions! Smaug and Guinevere have been bouncing around in my head more than any other name, though a Whoverse name is kinda tempting. I think it suits Cap’n Jack more than Ianto, though – it’s so shiny. Reactions from school community have been interesting so far. Adults have mostly ignored it, not stared, not said anything, except for one mum who shooed her toddler away and spoke to her in reassuring sing-song tones about how it’s ok, it’s ok dear, it’s just like Nanna’s scooter (the kid didn’t look the slightest bit scared, just curious). But I was surrounded by a gaggle of the neighbourhood kids yesterday on the way home (ages around 6-10) asking me where I got it? How fast can it go? Can I put turbo on it? Can they have a go? Can it go backwards? and racing me on their Razor scooters.